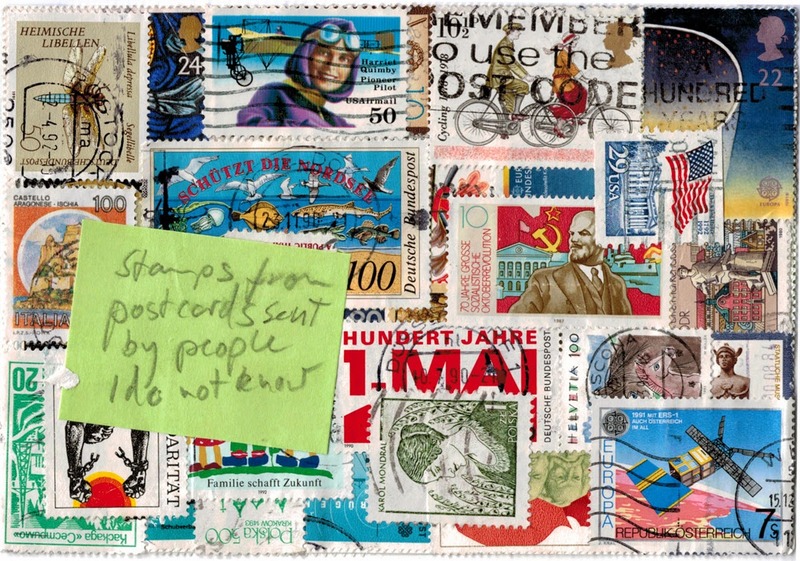 "stamps for postcards I never sent to people I know"
"stamps from postcards sent by people I do not know"
ANNE HÖLCK and GIAN MANUEL RAU sent me two postcards in 1 envelope. 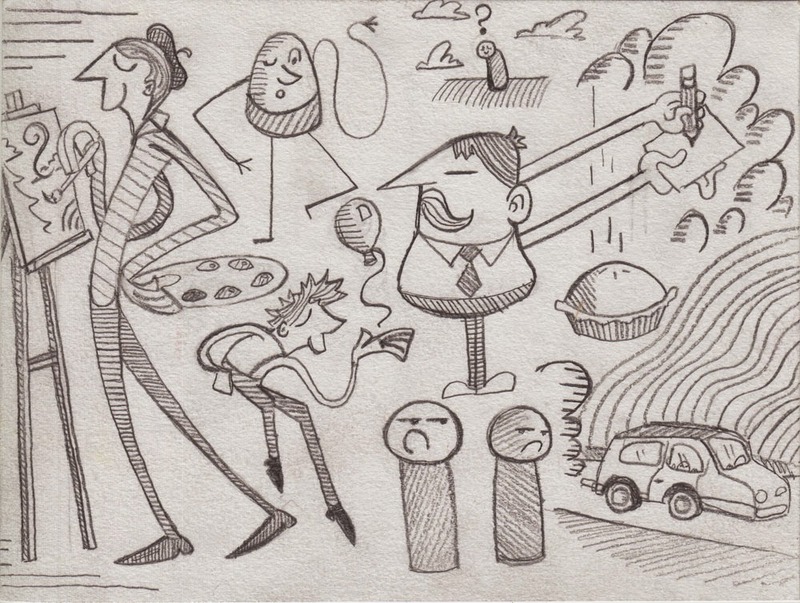 Concept art with stamps. Anne and Gian Manuel frequently work together on various theater-productions in Germany, Switzerland, Austria and France. Anne is a stage- and costume designer and a curator for (often) animal-related art and text. She initiated the art project we,animals. Gian Manuel is a director, performance artist and photographer. Both of them live around the corner and we run into each other quite often, luckily. Anne and I know each other for ages, since our early days in Berlin - and I am very happy about this fact. "In a world without melancholy the nightingales would start belching"
A postcard from JANINE SACK, sent from Berlin, Germany. 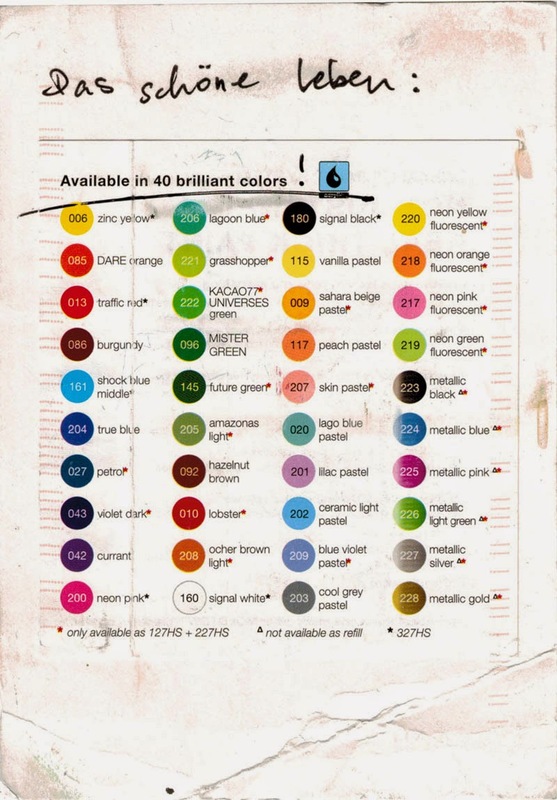 Janine is a graphic designer, artist and teacher and has worked in Germany, Sweden and the Uk. Between 2008 and 2013 she was art Director for the weekly newspaper „der Freitag“. She creates newspapers, magazines, websites and books. 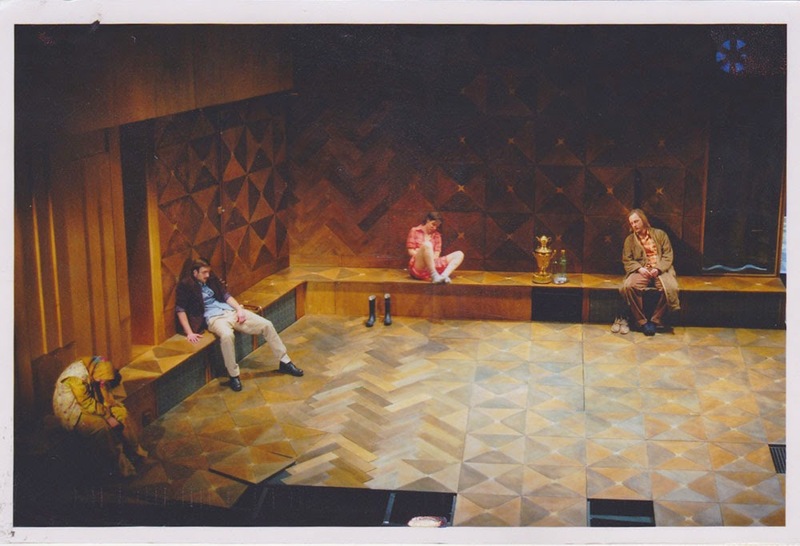 Janine received numerous awards for the design for „der Freitag“ and scholarships for her work as an artist. Since 2014 she is part of the publishing house The Green Box. "The Green Box strives to translate works of art into the medium of the book, so that the distinction between the works and their documentation becomes blurred." Janine and I regularily meet within the context of damensalon berlin. Same as me Janine is one of the members of damensalon. We prepare monthly dinners inviting changing guests to join us for meandering conversations over abundant meals and drinks. 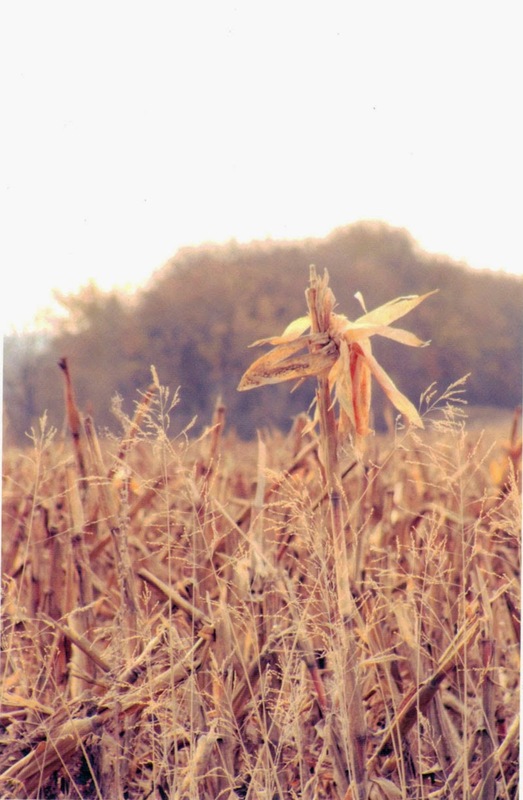 what it seemed to be from the distance." 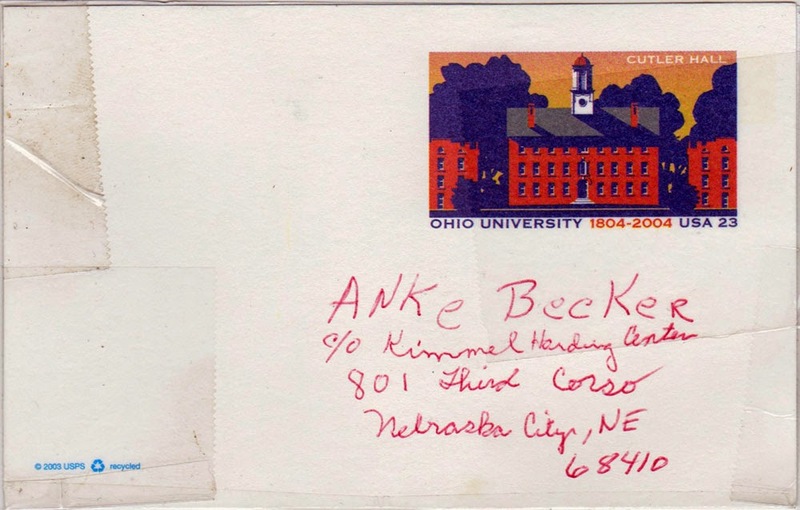 There are still postcards arriving - weeks after my departure from Nebraska, thank you Pat for scanning all these stragglers! 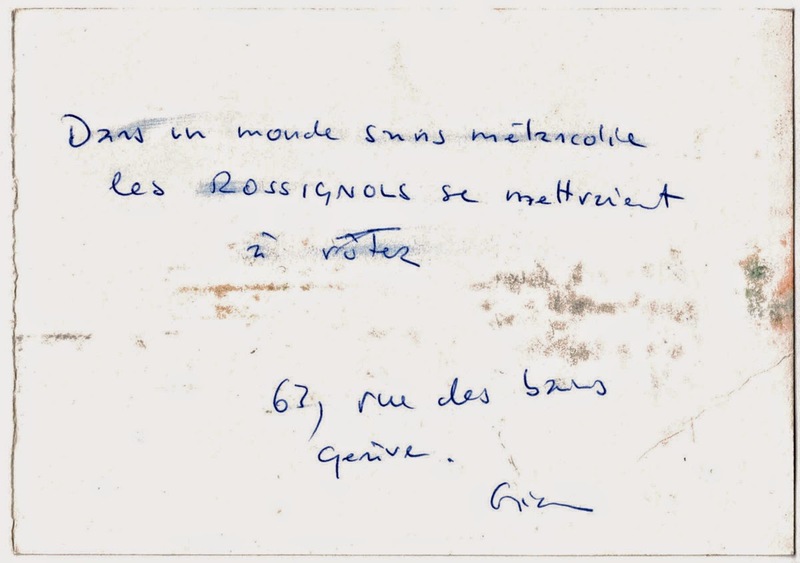 Here is a postcard from RALF KRAUSE, my neighbour since the day I moved to my apartment house in Berlin, 1992. 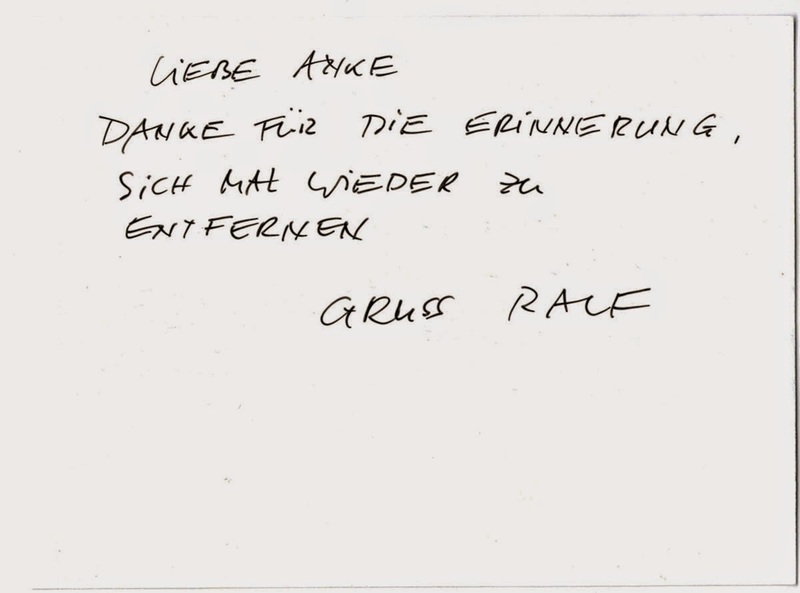 Ralf was born 1948 in Storkow (Brandenburg). He is a musician and a composer with a strong passion for flamenco-guitar. Actually, Ralf "Don" Krause is one of the best and most famous flamenco-guitarists of the former GDR. Yes, in the socialist times of East Germany existed a very active Flamenco scene - and Ralf was a fundamental part of it. After the fall of the Berlin wall, Ralf started to work in several film and theater projects, as a composer, musician and performer. He had a intense, long-time collaboration with the theater-director Jo Fabian. 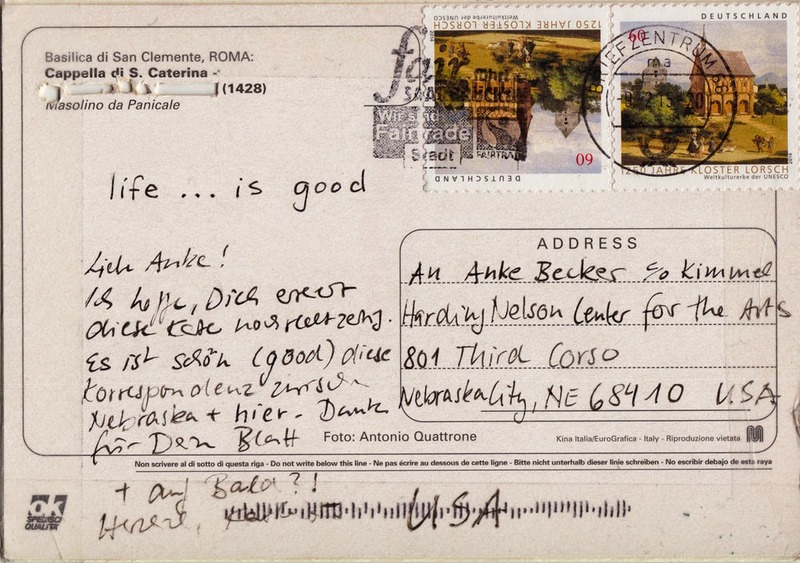 "Dear Anke, thank you for the reminder to depart once again." 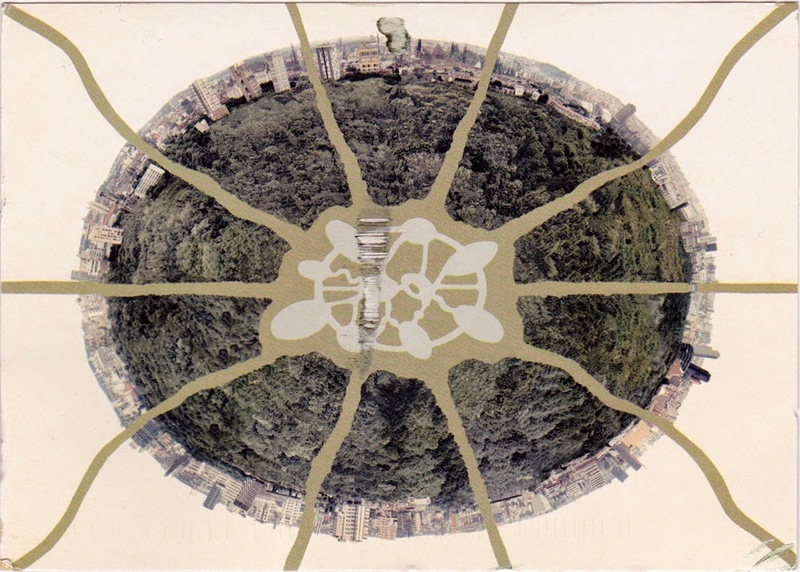 A postcard from TRAUDL KUPFER, sent from Berlin, Germany. Since 2001 Traudl is working freelance as project manager, editor, lector, interpreter as well as website conceptioner. Traudl lives in the same apartment house as me - I am in the side wing and she lives together with her partner Ralf in the rear building. Traudl & Ralf have a cute, fluffy dog called Django. 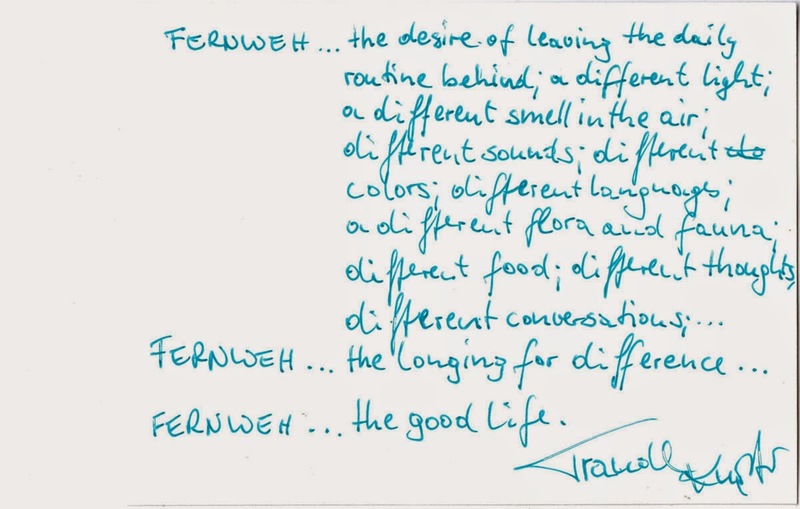 You see him and his mistress on the postcard, meditating about Fernweh and the good life. 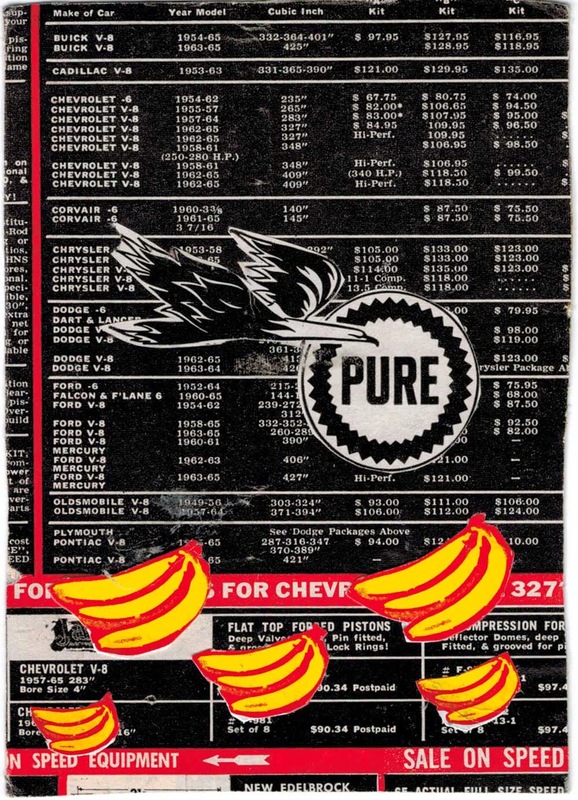 "Dear Anke, Bananas, pure oil, and a beautiful car. What else could you want!" "One Ferneweh-milestone, or - to be more precise- a couple of them!" 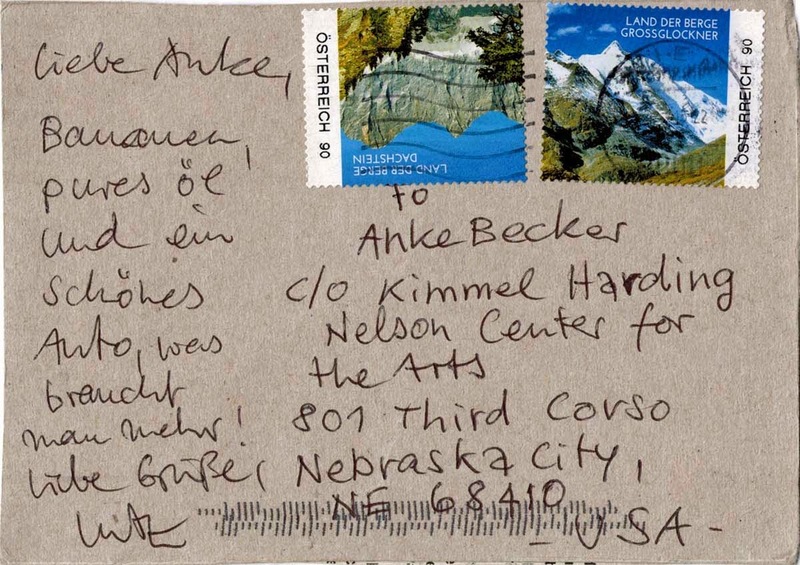 The day I left Nebraska City to head home to Berlin again - February 27- I received this lovely note written by Elizabeth Stehling, the director of KHN Center for the arts. I opened it while sitting in the plane from Omaha to Chicago with the view on the wide Great Plains from a the bird's eye view. Thanks to Elizabeth and her assistant Pat and all the nice people of Nebraska City I really felt at home in this place far away from my home in Berlin. Time slipped by so quickly and when I had to leave I barely could imagine that six weeks were already over. 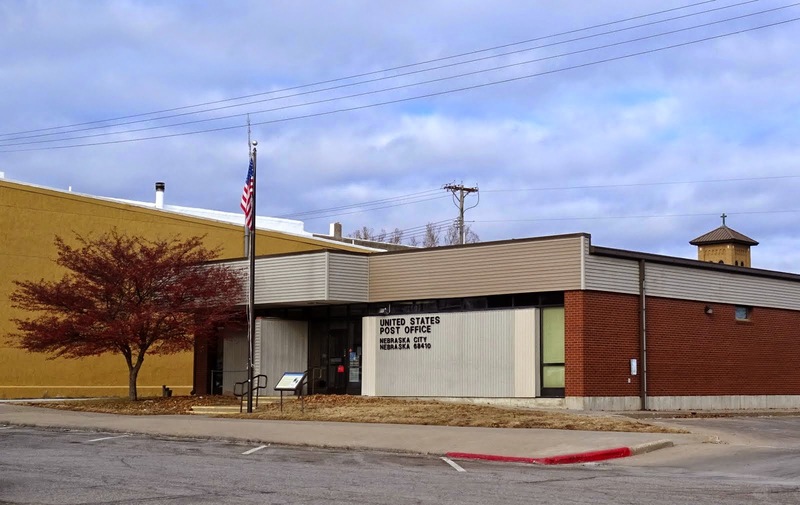 I loved my time at the KHN Center for the arts in Nebraska City! 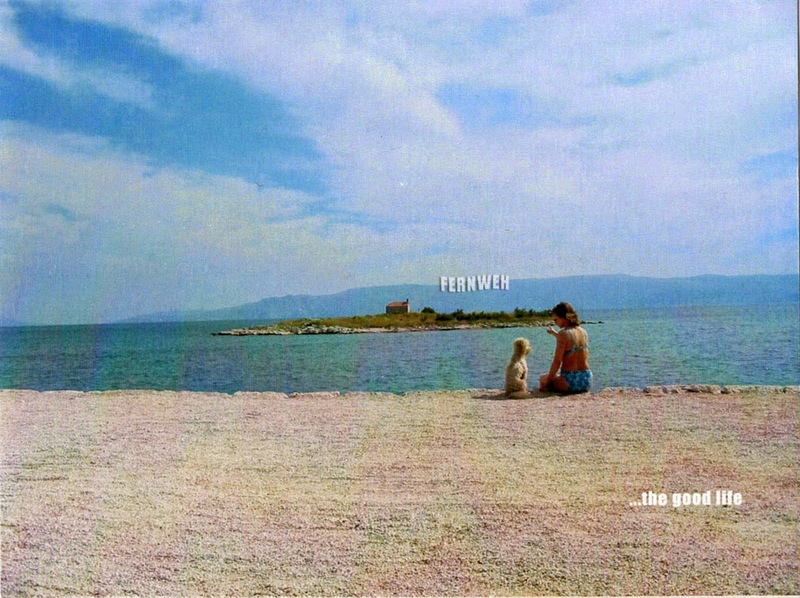 The participation in the Fernweh*goodlife project and the support of the local community was an unique and overwhelming experience to me. 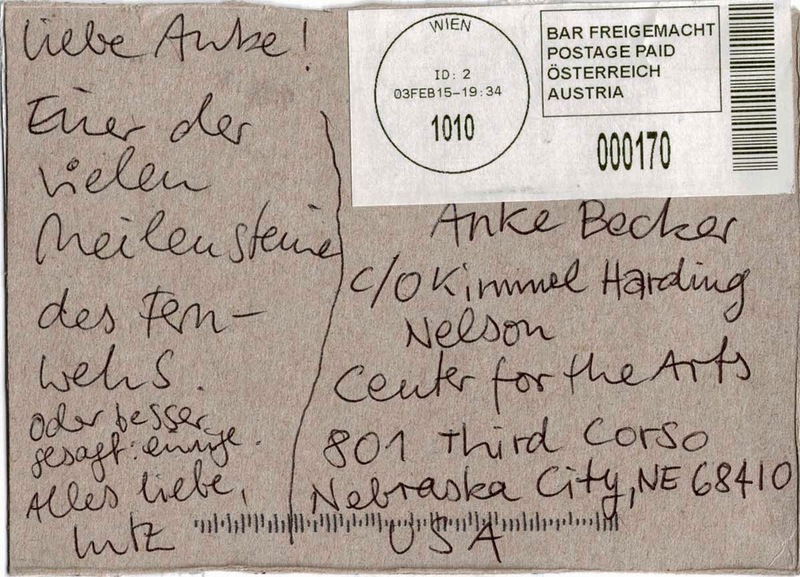 I only can say: THANK YOU & DANKE, dear Elisabeth & Pat, thank you Kimmel Foundation for making this project and this residency possible, and thanks to ALL OF YOU who sent me your postcards. They made every single day of my residency. 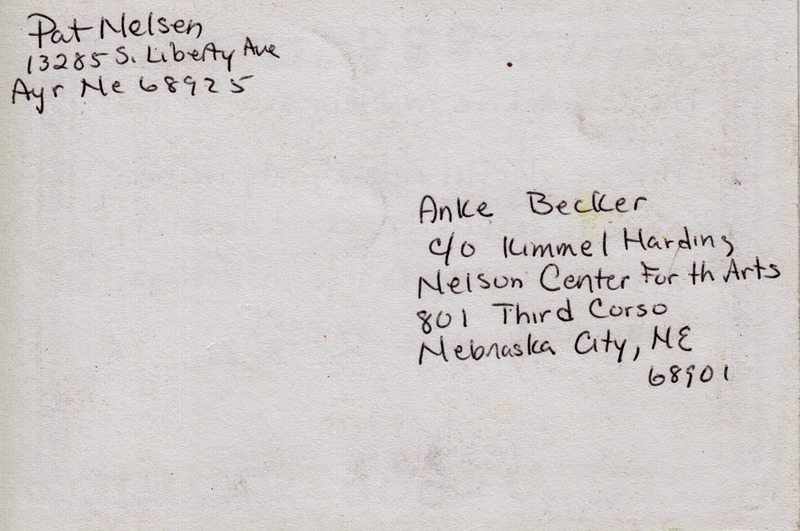 My special thanks go to the Nebraska City post-office and the mailman Bill Witte. I already miss you all! The community of Nebraska City and the great people of the KHN Center for the arts have a special and beloved place in my heart. 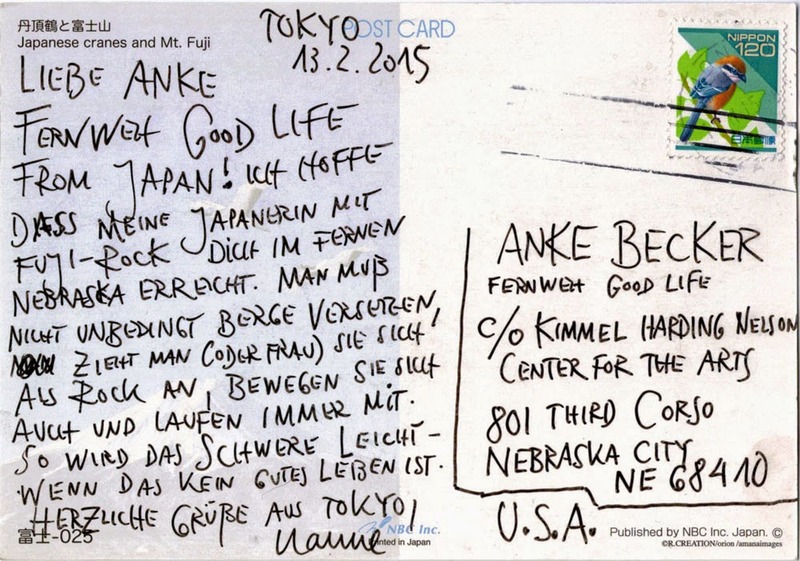 A postcard from NANNE MEYER, sent from Japan, where she currently travels. Nanne is a Berlin based artist, born 1953 in Hamburg. She studied at the HfbK Hamburg. After here studies she was awarded a DAAD Stipend in London, where she studied animation at the Saint Martins School of Art. In 1986–87 she was awarded with a one-year stipend at the Deutsche Akademie Villa Massimo in Rome, after which she lived in Frankfurt/Main for several years. 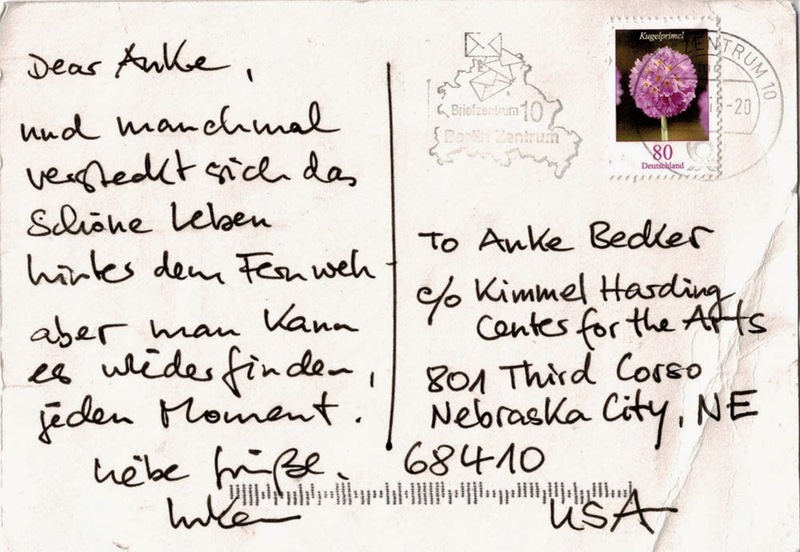 In 1993 she moved to Berlin, where since 1994 she teaches as Professor at the Kunsthochschule Berlin-Weißensee. In 2013 she received the women artists' prize NRW for drawing and in 2014 the Hannah-Höch Preis in Berlin. Nanne is one of the first women artists of the postwar generation who works primarily in drawing. La Grand Dame of German drawing! 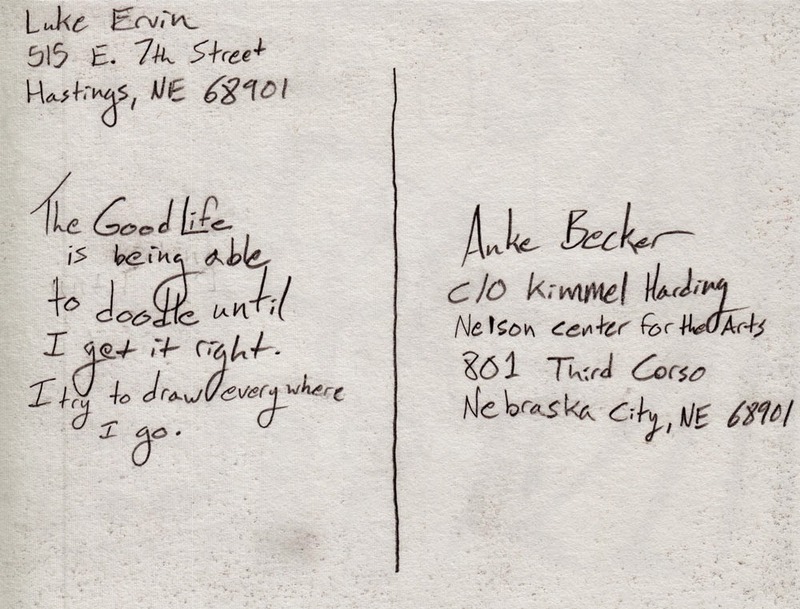 A Fernweh drawing from BEN WATKINS, sent from Peru, Nebraska. Ben is a student at the Peru State College. Right, this Peru is not located in the Andes. 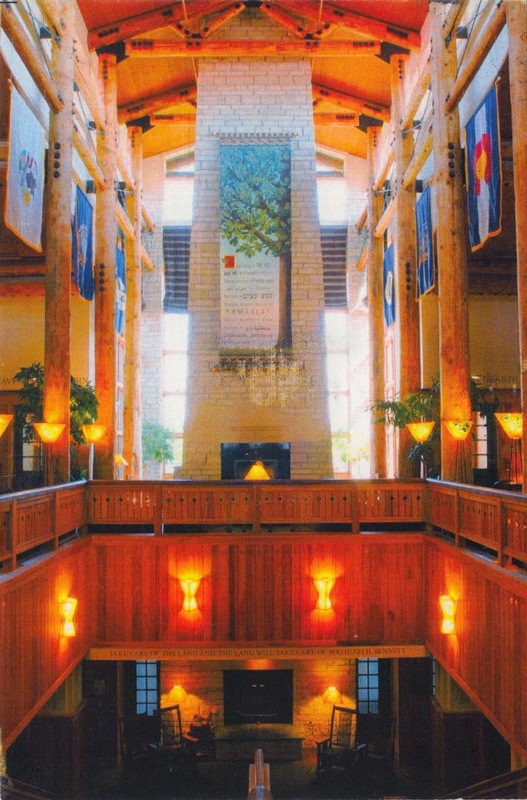 It is just 20 min away from Nebraska City. No skyscrapers there, but the Missouri River and a lot of open land around it! 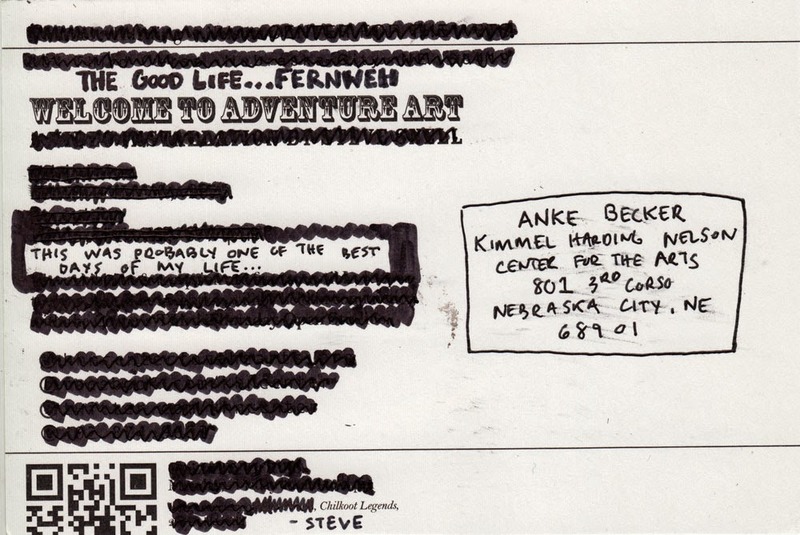 A Nebraska-Fernweh drawing from RYAN CHRISTENSEN sent from Peru, Nebraska. RYAN is a student at the Peru State College and he calls the city of Omaha his home. 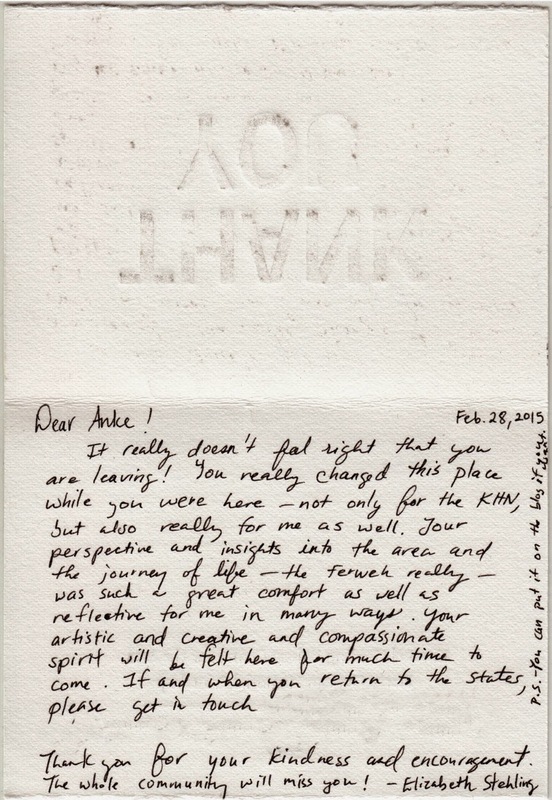 A postcard from ALEX KLENZ, a Berlin based visual artist. He was born 1974 in Bützow, Mecklenburg, Germany. We studied at the same art school, Kunsthochschule Berlin-Weissensee. Alex has quite an affinity to drawing and collaborative projects, which is were we often meet - literally and as like-minded artists. Alex is the co-founder of the artist group Tennis Elephant and the co-operative gallery Andreas Wendt. 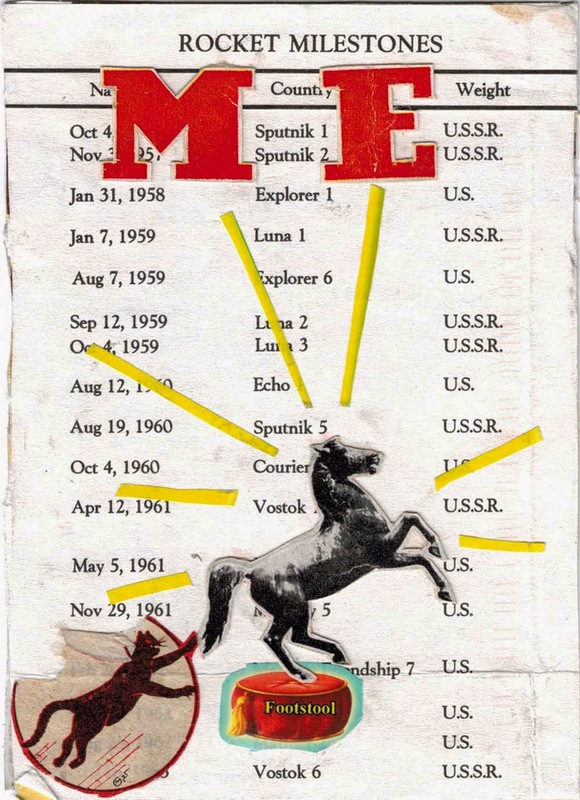 In December 2014 a book titled AEOU with a collection of Alex' drawings has been published. 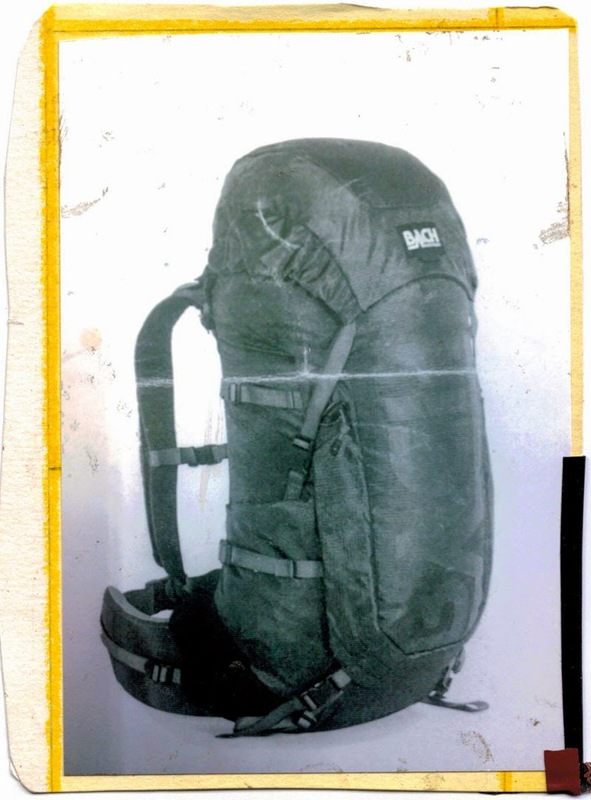 Besides art and drawing Alex likes hiking and other sporty activities. 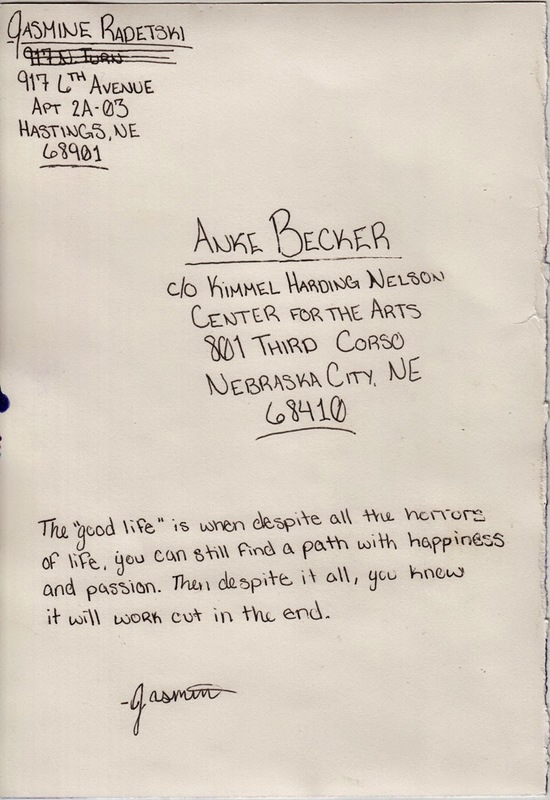 "Dear Anke, the good life exixts. - good luck!" 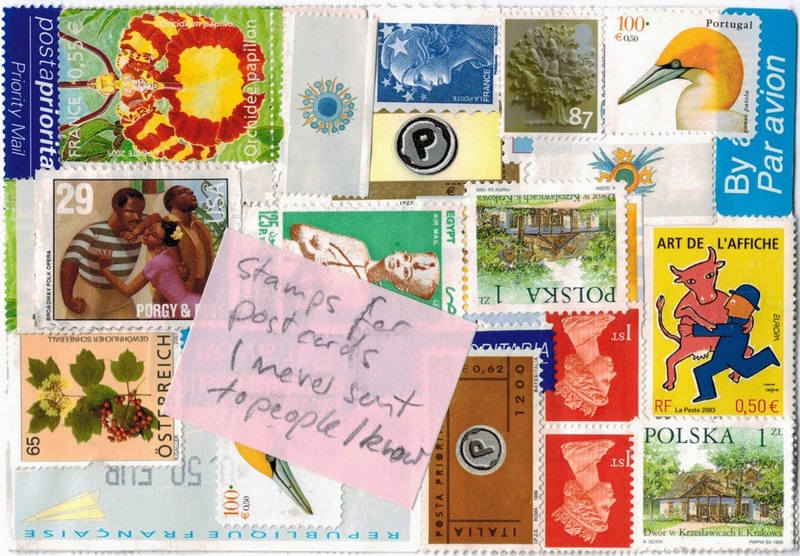 A postcard-collage from KYLE BERGLUND, sent from Peru, Nebraska. Kyle is a student at the Peru State College. 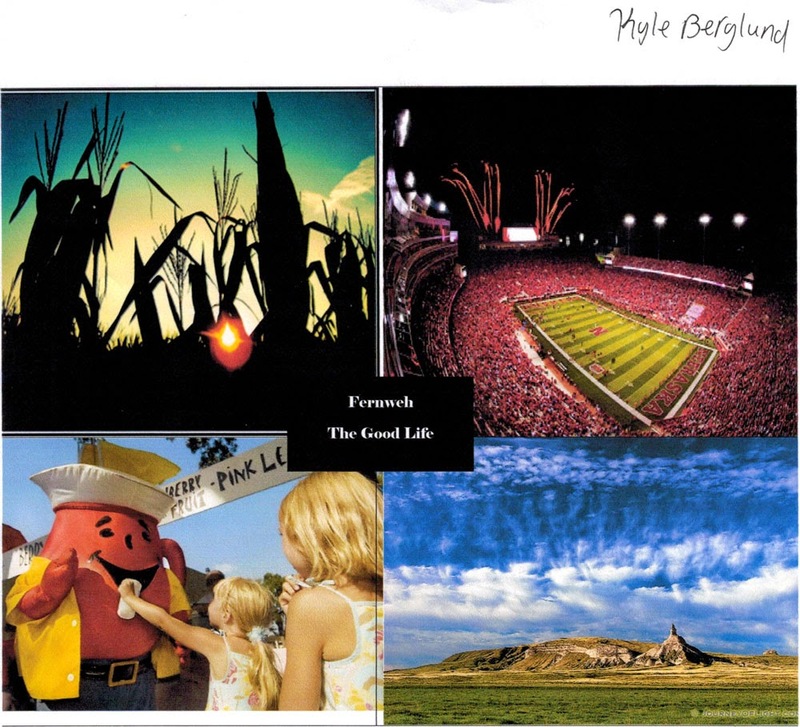 He compiled some Nebraska essentials: Cornfields, a Huskers game, an event with the Kool Aid Man involved, a big sky and and a wide landscape. There are some decent mountains in Nebraska, too! 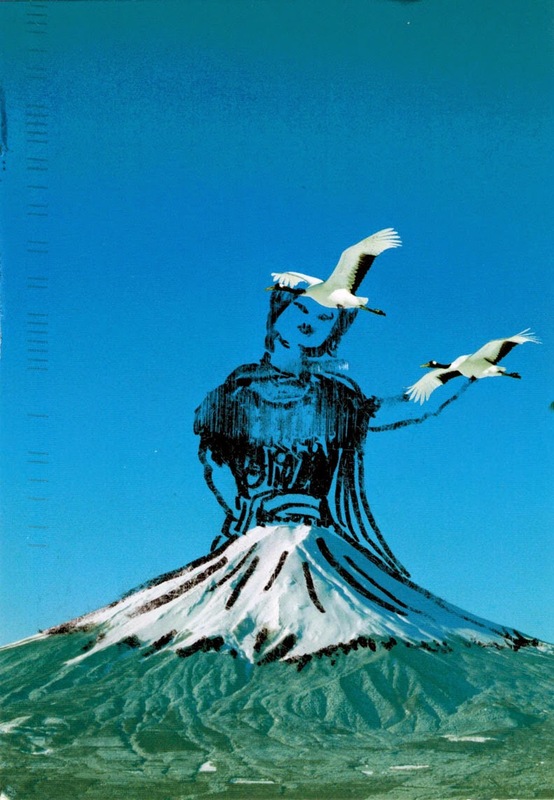 A postcard from KATHARINA HINSBERG, sent from Neuss, Germany. Katharina is a visual artist with a focus on drawing and installations "posing fundamental questions about time, space, and the subjectivity of drawing." Her work has been widely exhibited in Germany and abroad. Since 2011 Katharina is a professor for conceptual painting at the HBK Saar. She and her work is represented by the gallery Werner Klein in Cologne. Katharina and her family live close to Düsseldorf, at the Raketenstation Hombroich which is part of the Museum Insel Hombroich, which was founded by the art collector Karl-Heinrich Müller in 1987. "In creating this unique ensemble of art, architecture and landscape, he was true to the tenet of the Impressionist Paul Cézanne – ‘art in parallel to nature’. Museum Insel Hombroich is a special place, away from the bustle of daily routine and fashionable trends. 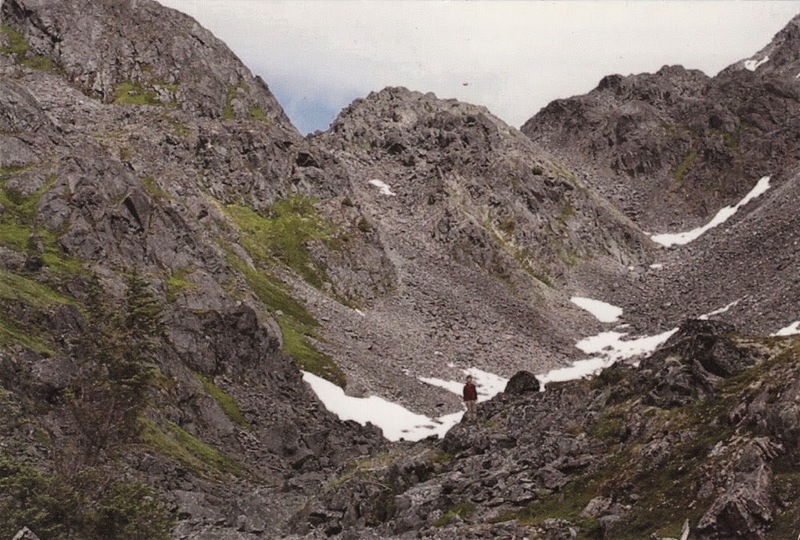 It is an invitation to enter into the adventure of a direct encounter with art and nature. The Museum dispenses with signposts altogether – visitors are free to find their own way in the extensive parkland and make their own discoveries of art and nature alike. 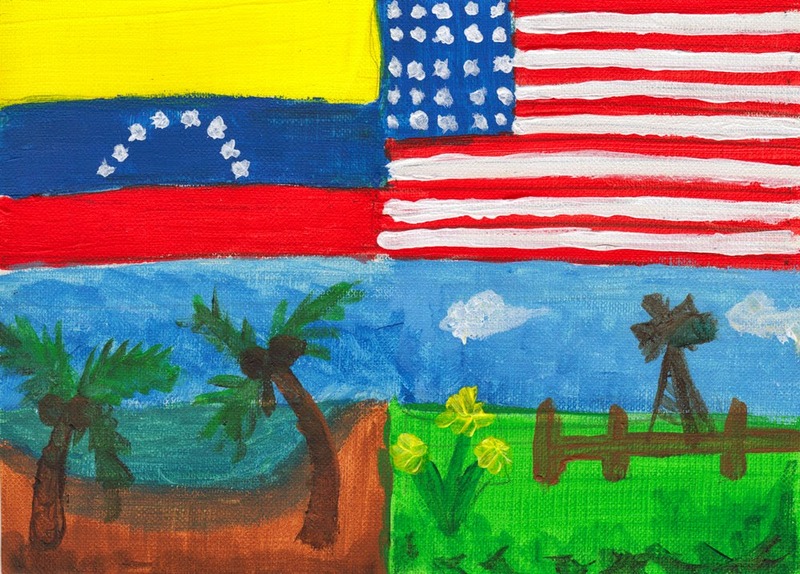 This freedom of the spirit is at the heart of the Museum’s particular charm. A day at Museum Insel Hombroich wakens the senses." Last spring Katharina invited Inken Reinert, her sister Veronike Hinsberg an me to stay in her Hombroich-studio in for one week last spring while she was in Italy. Thanks to Katharina's hospitality we were able to create a collaborative drawing, surrounded by the beautiful landscape, the parks of the Hombroich island, the impressive architecture by and the eclectic collection of art. 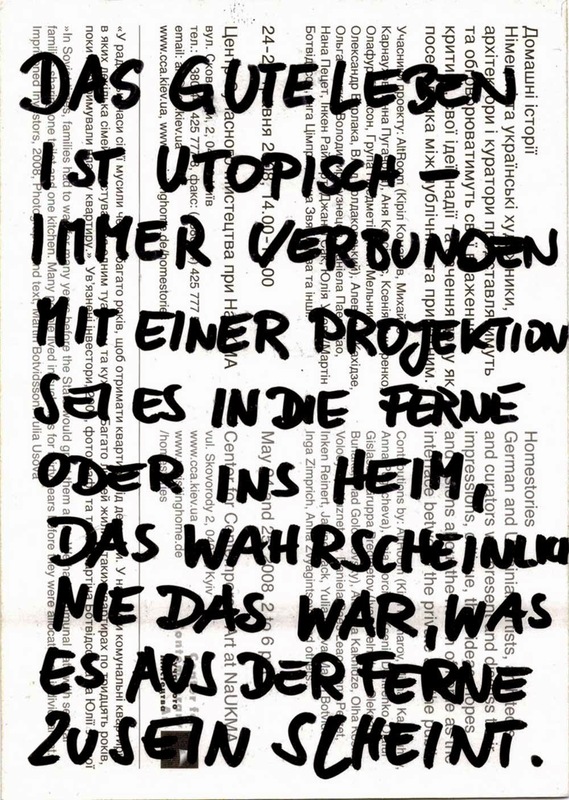 A postcard from RALF KÄSELAU, sent from Berlin Germany. Ralf is a scenographer and costume designer. He studied stage design at the HdK Berlin with Prof. Achim Freyer. Afterwards he assisted at Schaubühne Berlin. He worked for several theaters in Germany and in Switzerland, such as Schauspiel Frankfurt, Nationaltheater Weimar, Staatsoper Berlin, Schauspielhaus Zürich, Theater Basel and many more. One of Ralf's the latest productions was Claude Debussy's "Pelléas et Mélilsade" at Theater Heidelberg, a collaboration with the director Lorenzi Fioroni. 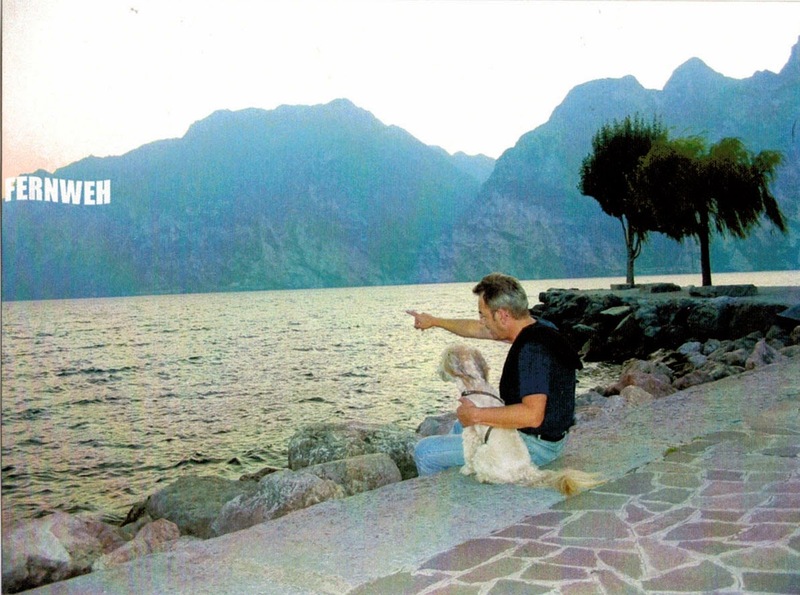 Ralf and I met through our friend Moritz Nitsche during the time at art school in the 90s. Ever since we are close friends and we share many mutual memories and experiences. Above all we pretty much agree about our taste in music. 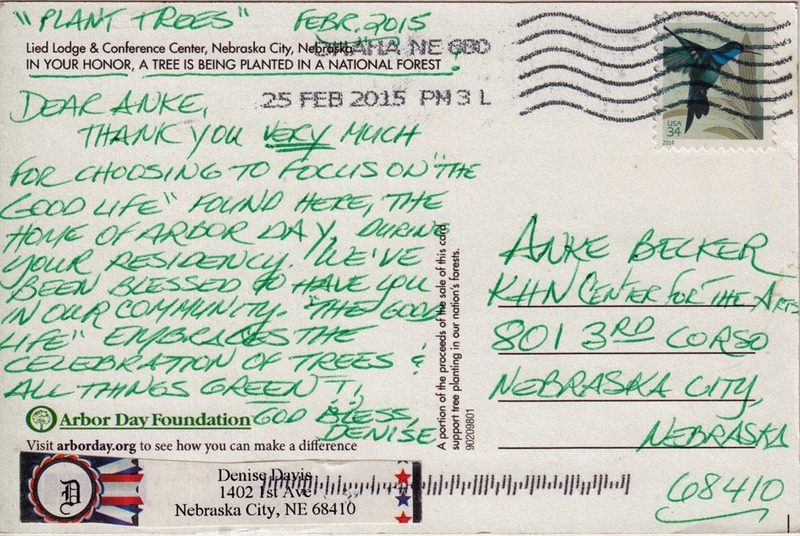 A postcard from LUKE ERVIN sent from Hastings, Nebraska/USA. 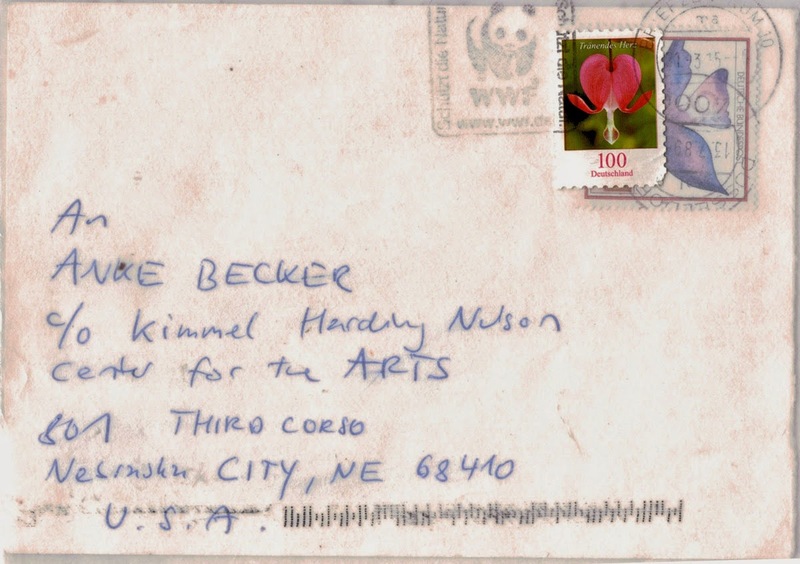 Luke is an Art Student at the Hastings College, NE. 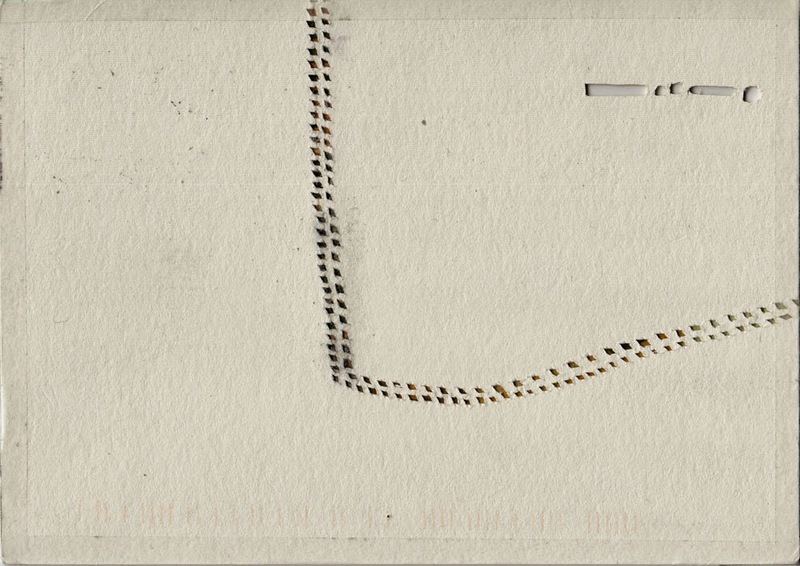 A postcard from CHARLIE KEARNS a.k.a. Beijing Charlie, sent from Zanesville, Ohio. Charlie was born in Zanesville. He graduated from USC 1998. Lived in Los Angeles from 1976 to 1988 and In 1994 appeared in The Shawshank Redemption. Back to LA again from 1996 to 2002. In 2008 created the world's largest single letter art installation and also became "Beijing Charlie" after a residency in China, 2012. Charlie is a humorist, actor and video-performance artist. I met him 2011 at the Vermont Studio Center in Johnson,VT. At that time there were construction works on main street. It was a big deal and there were a lot of orange cones scattered in the small town. 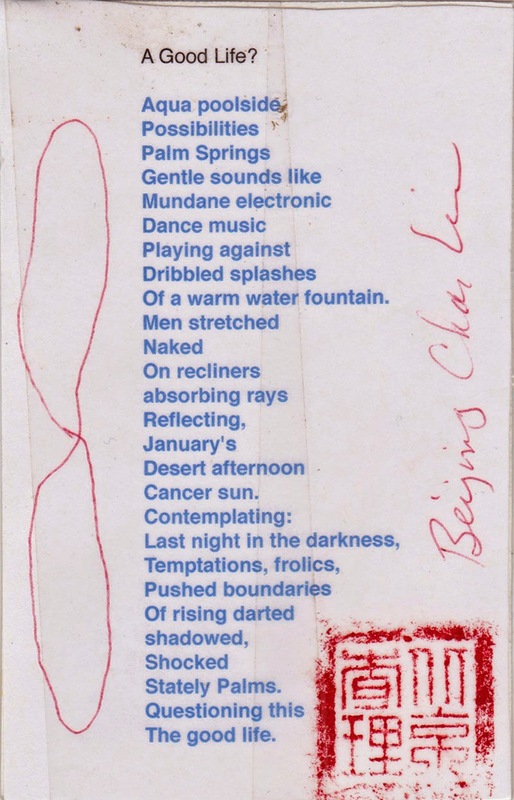 On this occasion Charlie and Alec MacLeod created the collaborative "Orange Cone Project", in which MacLeod -as critic Andrew White - critiques Beijing Charlie's large scale installation piece. 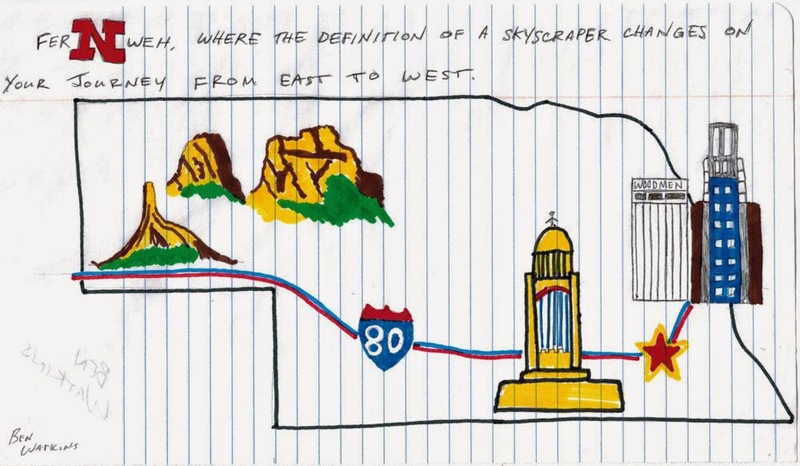 The short video, "Chaos and Order in Johnson Vermont," satirizes contemporary art criticism. On the related cone-blog you can submit your images of orange cones. I did this, twice. Sometimes these cones are placed in the strangest spots, for unknown reasons. 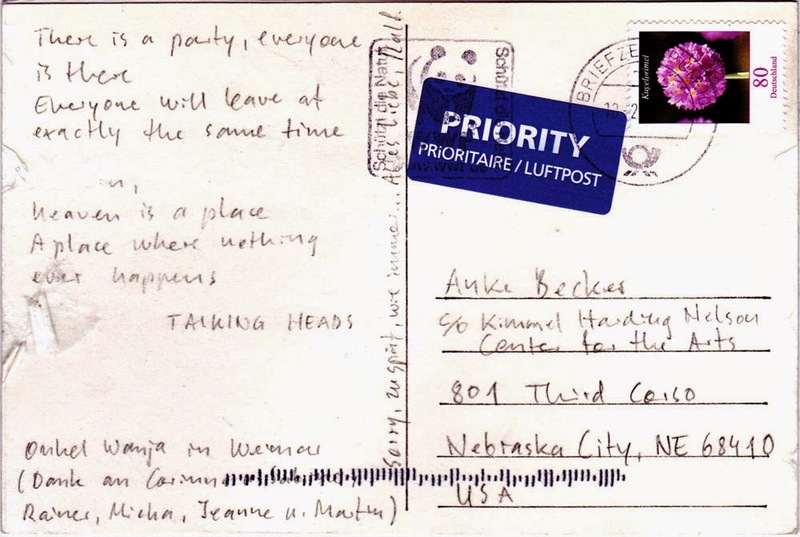 A postcard from JESSICA GONZALEZ sent from Hastings, Nebraska/USA. 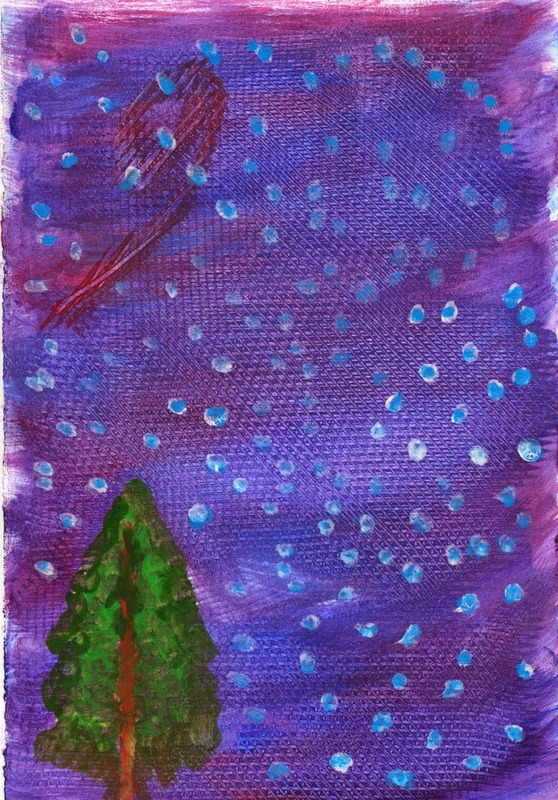 Jessica is an Art Student at the Hastings College, NE. 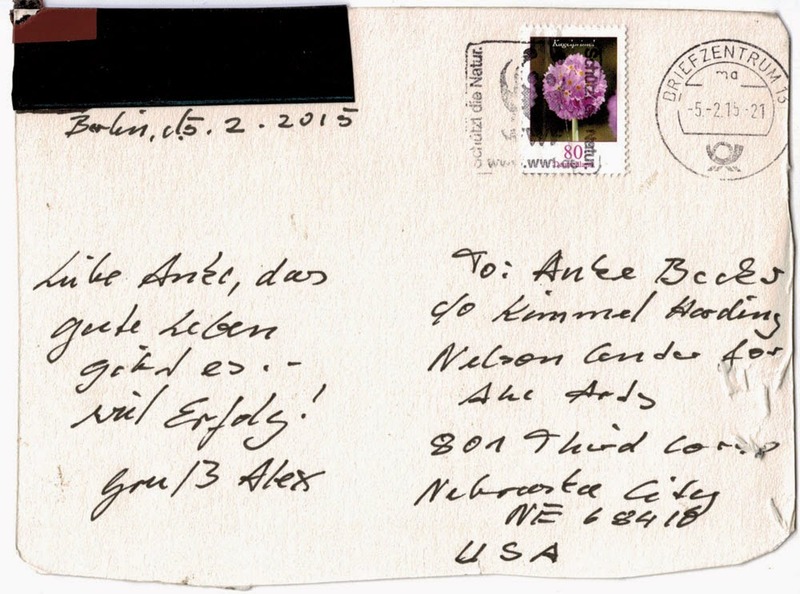 A postcard from DENISE DAVIS, sent from Nebraska City. 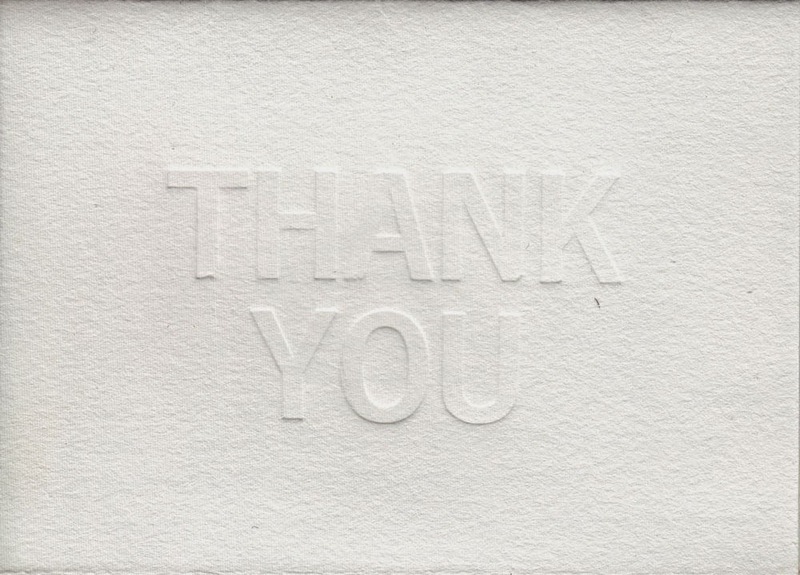 Thank you, Denise, for your contribution to Fernweh*thegoodlife! 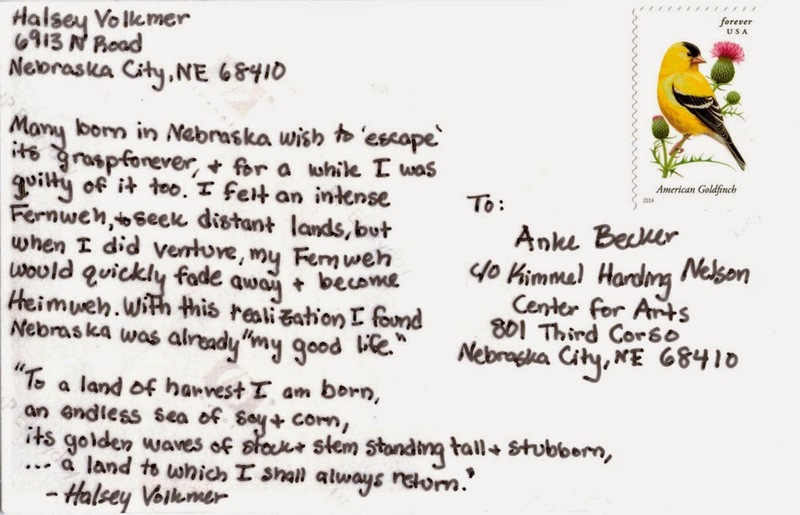 A postcard from PAT NELSEN sent from Hastings, Nebraska/USA. 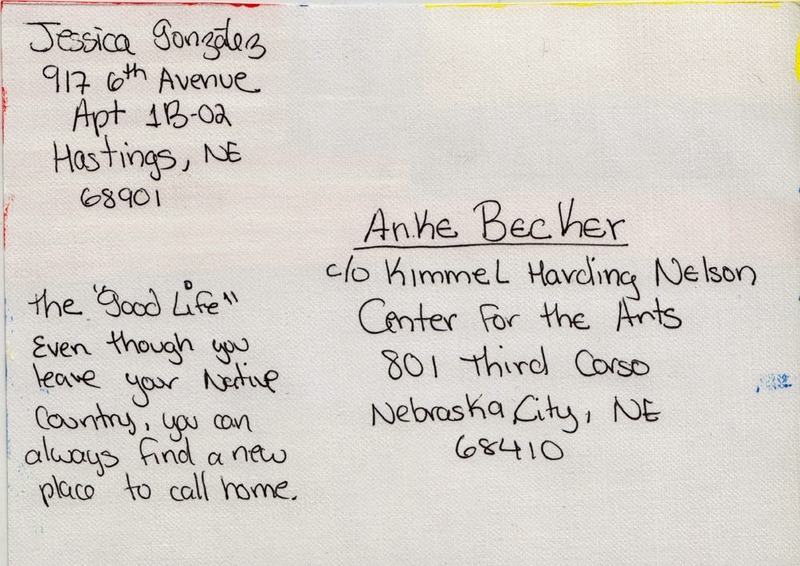 Pat lives in Ayr, Nebraska and is an Art Student at the Hastings College. 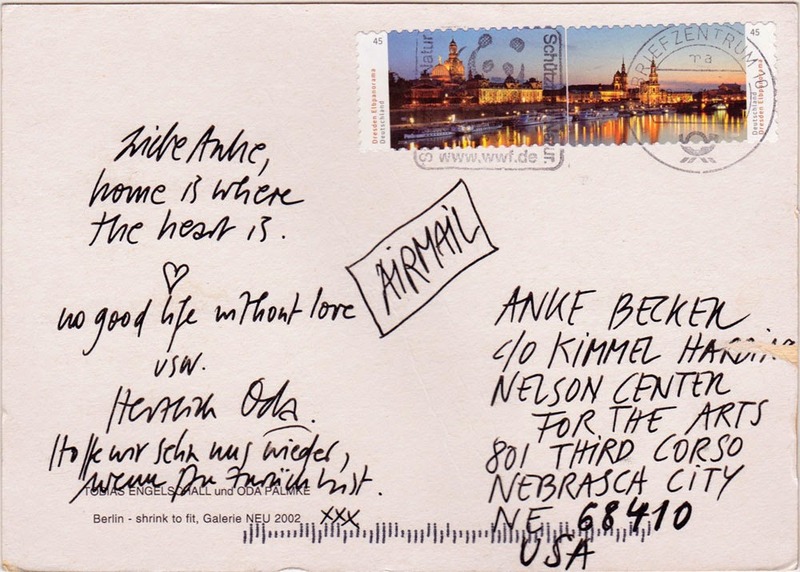 A postcard from ODA PÄLMKE, sent from Berlin, Germany. Oda was born in Flensburg and lives and works in Berlin. 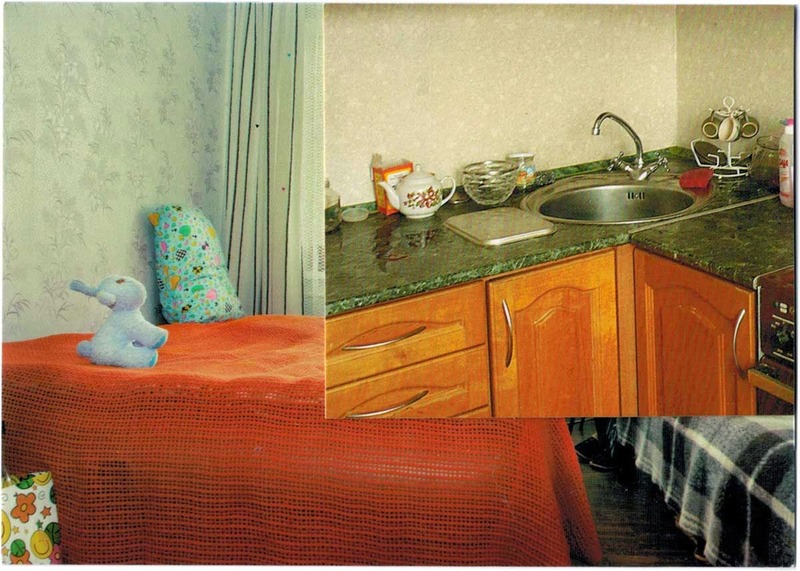 She is an architect an runs her own office since 1994. Oda realized numerous architectural projects in Germany and abroad. 2004 she was invited for the competition for the German pavilion at the Biennial for Architecture in Venice, Italy. Oda and I got to know each other in the context of damensalon berlin and Art Lover Club Berlin. Jasmine is an Art Student at the Hastings College,NE.